Left: Manuscripts class with fifth grade students. 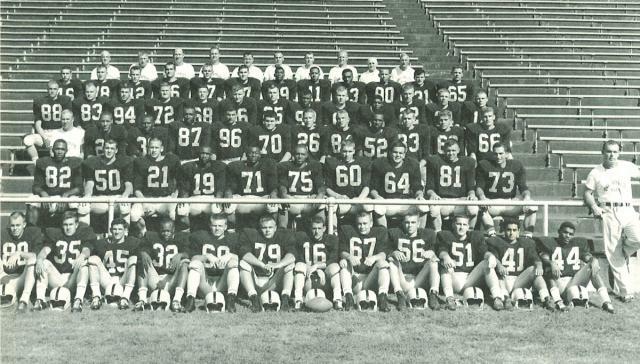 Right: Center for the Book class. 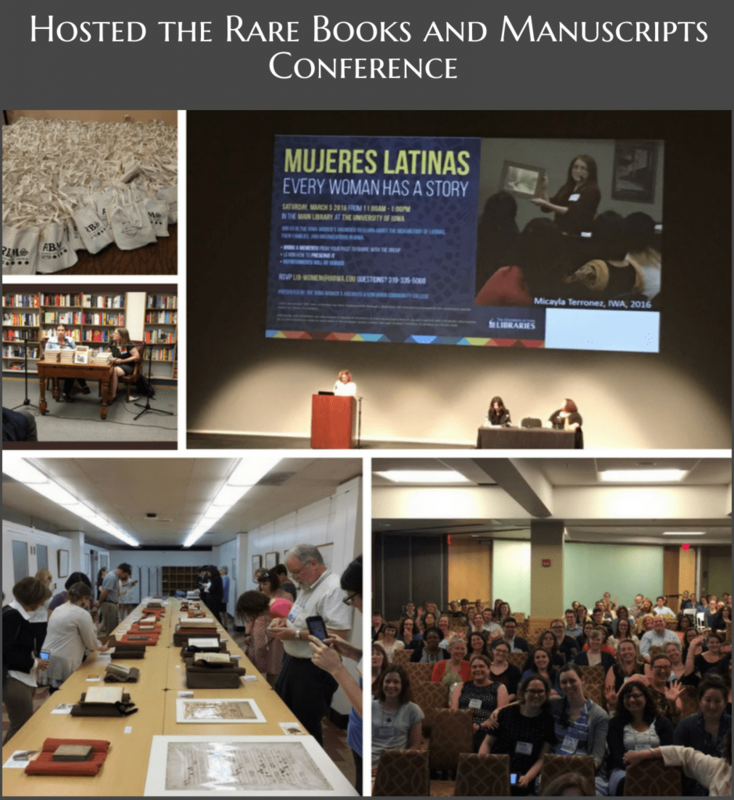 Photos: Final tote bag pile, Colleen Theisen and Rebecca Romney speaking at Prairie Lights, Janet Weaver speaking about Mujeres Latinas at Hancher, the Instagram meetup, and a crowd scene from the final plenary session. 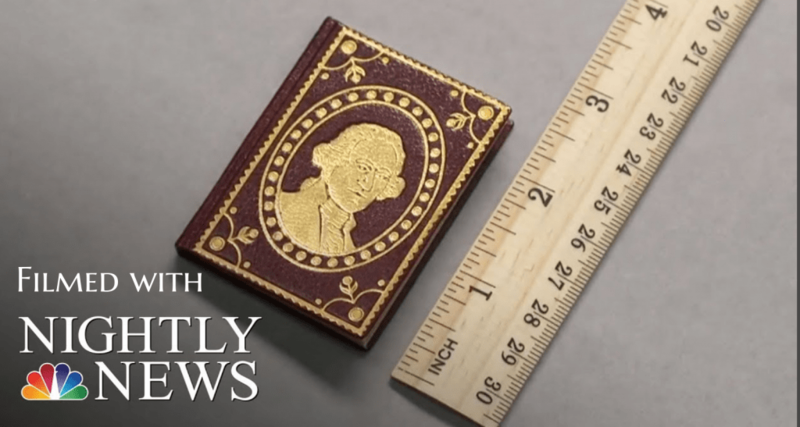 NBC Nightly News filmed a segment about the Charlotte Smith Miniature Book Collection. View it here. 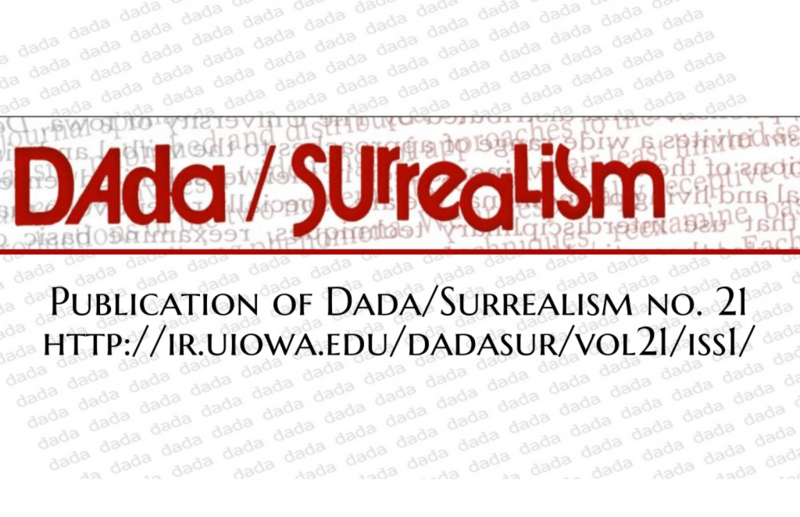 More information about our past exhibitions can be found on the Gallery website pages here: Dada, Alternative Press, IWA 25th. Read the blog post about this new arrival. 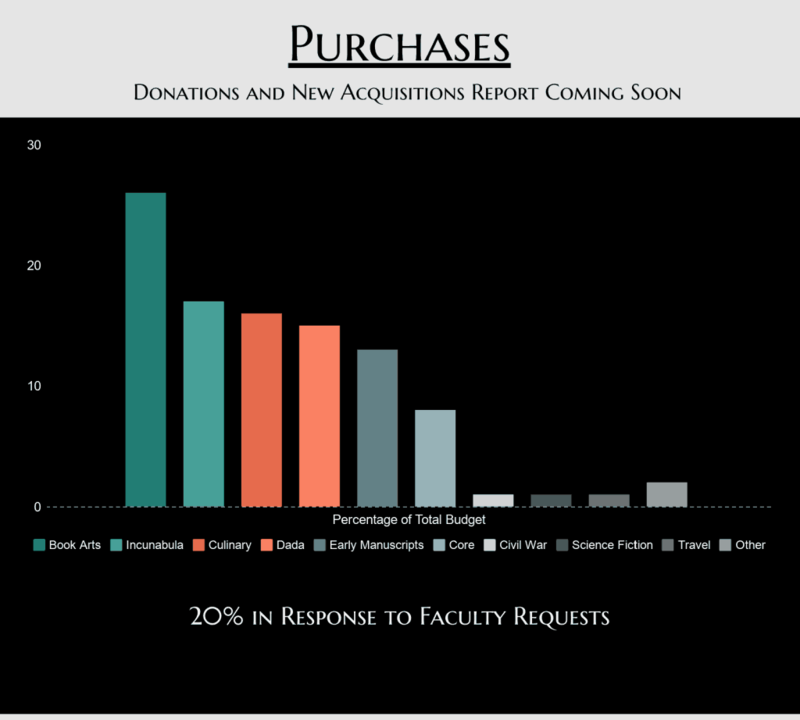 This brief chart about purchases will be expanded with a post with highlights from our 2017 donations and purchases. Coming soon! 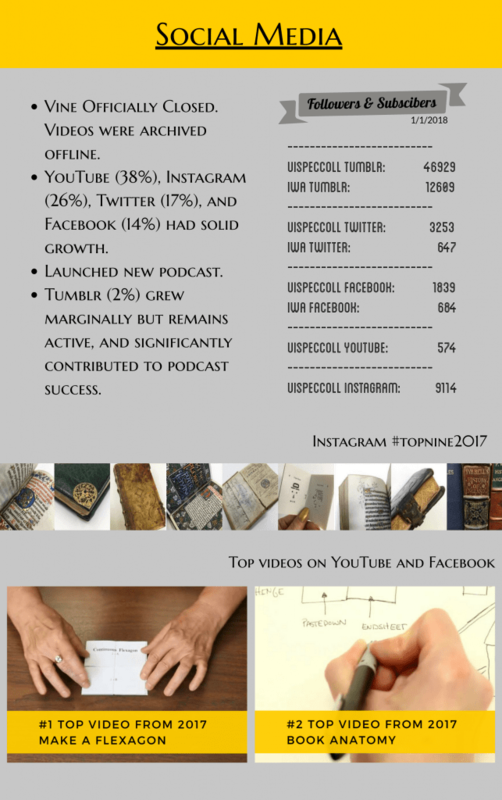 Follow us on Facebook, Twitter, Instagram, YouTube and Tumblr. Follow along here on our blog, on Podbean, or subscribe on your favorite podcast app. Old Gold columns can be read via Iowa Now. 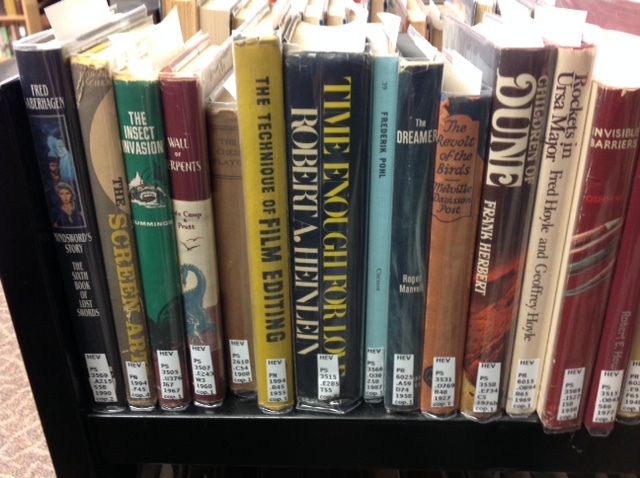 Get started transcribing, or just browse the collection here. 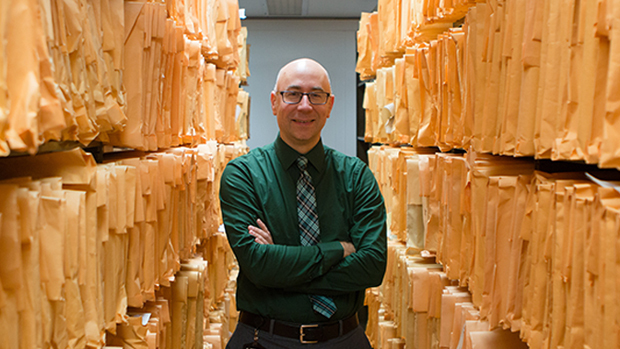 Greg Prickman, head of Special Collections at the University of Iowa Libraries, was honored March 31 with the 2015 Arthur Benton University Librarian’s Award for Excellence. 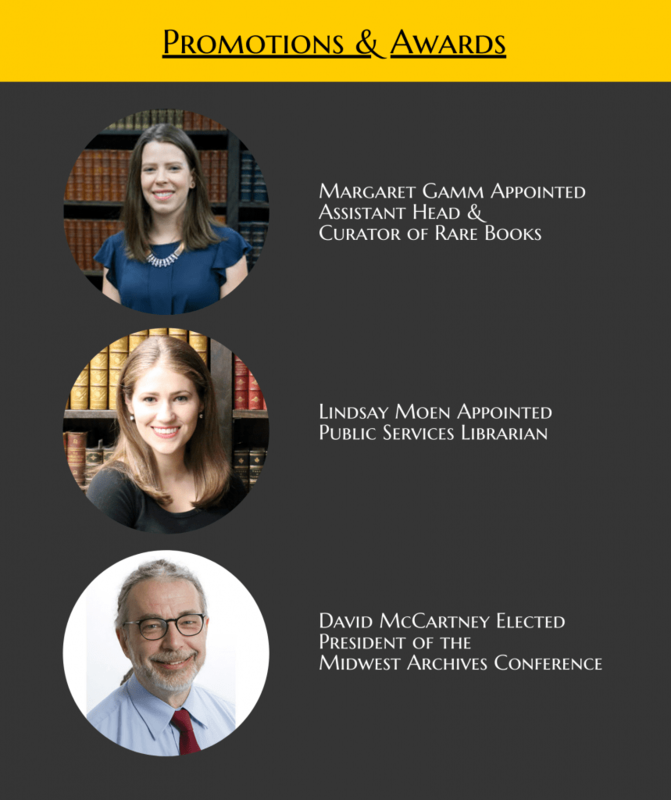 The Arthur Benton University Librarian’s Award for Excellence recognizes a member of the UI Libraries’ professional staff who has demonstrated outstanding commitment and leadership in furthering Libraries’ mission serve the University community. The honor includes a $1,500 award for professional development that will support the recipient’s research projects or publications related to library services. This award was made possible by an endowment from Dr. Arthur Benton, Professor Emeritus in the Department of Neurology, University of Iowa Hospitals and Clinics. 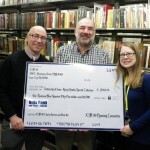 In letters of support for this award, the selection committee noted Prickman’s commitment to furthering the Libraries’ role in the University’s academic mission, as well as his professionalism and responsiveness to researcher needs. Prickman also earned praises from Adam Hooks, Assistant Professor of English, who notes a climate of accessibility that Greg has created for scholars. “Greg’s vision for the library has transformed the learning experience for students at the University of Iowa,” says Hooks. “Thanks to the significant digital projects sponsored by Special Collections, the intellectual and material resources at Iowa are accessible to students around the world.” Prickman was the catalyst for the Civil War Diaries Transcription Project that led to crowdsourcing platform DIY History, and he is the creator of The Atlas of Early Printing. 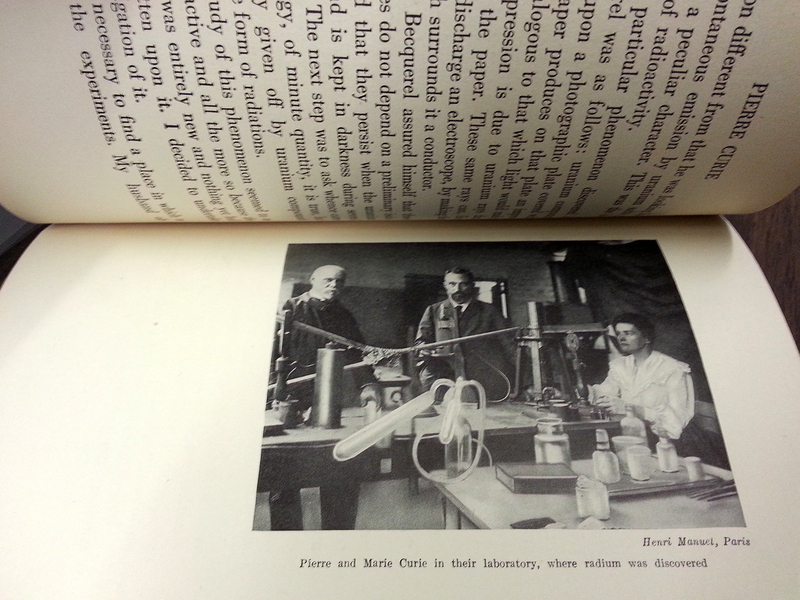 The Arthur Benton University Librarian’s Award for Excellence Award is given annually. 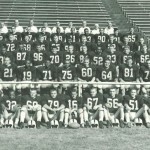 Past recipients include Kari Kozak, Jen DeBerg, Dottie Persson, John Forys, Edward Miner, Kathy Magarrell, Kären Mason, Dave Martin, and John Schacht. Please join us in congratulating Greg Prickman! 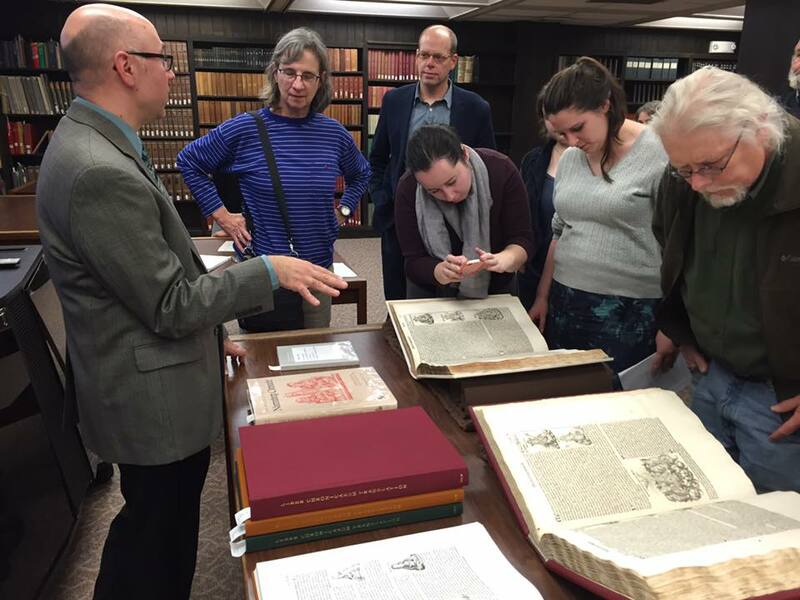 After working in Special Collections for a while, we meet many people who leave a lasting impression on us—collectors, donors of papers, students, and researchers, among others, who devote countless hours to their work in these collections. In the midst of comings and goings, some individuals stand out, and one of them deserves special recognition. It is with heavy hearts, but also fond memories, that we remember the time we spent with Lucy Hartmann, who passed away on June 22. 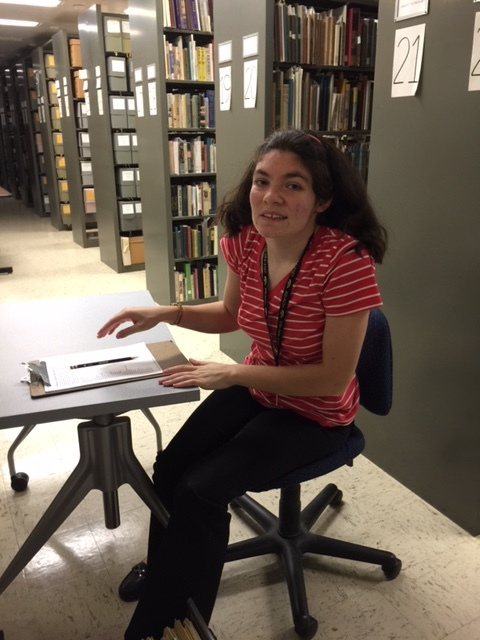 We got to know Lucy during the time she spent working in Special Collections through the UI REACH program. Lucy was dedicated to her tasks in Special Collections, helping us with filing, sorting, cleaning books, and other duties that helped us to tackle some things that we may not have otherwise been able to resolve. Her contributions to our activities were real and meaningful, and the focus she applied to her work impressed us all. 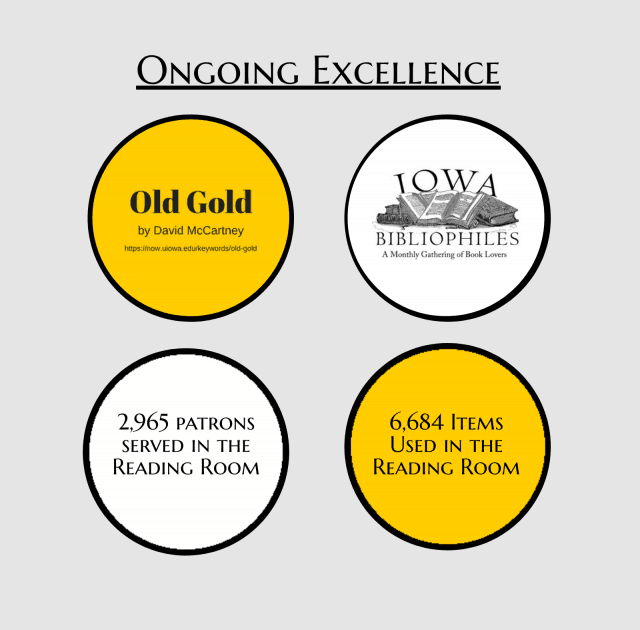 We were able to share some of our favorite items in the collections with her, and were delighted to be able to throw a party for her to commemorate her graduation from UI REACH. 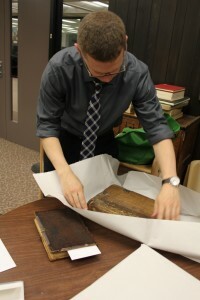 Lucy Hartmann at work in Special Collections. 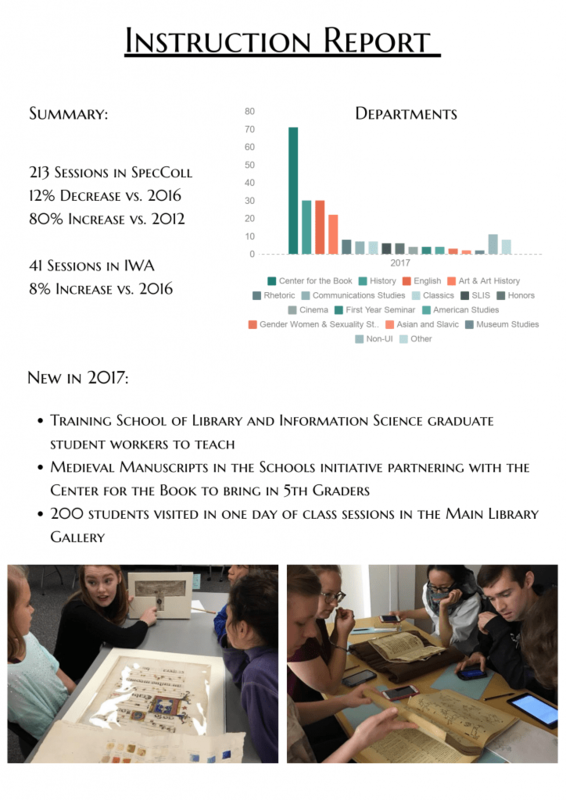 I speak on behalf of the entire staff of Special Collections when I say that she will be missed, that her time with us will not be forgotten, and that her efforts are truly appreciated as we continue to go about our daily business. Her time in our department may have been relatively brief, but the impression she made on us is something that will endure with us for a long time to come. 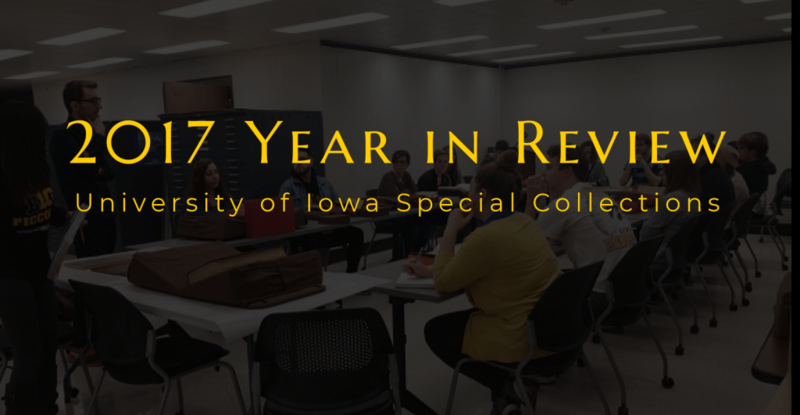 Over the years that we have been involved with UI REACH, thanks to the efforts of our Department Manager Kathy Hodson, we have been fortunate to be able to work with, and learn from, people such as Lucy and former students Alex and Jeff. We look forward to continuing this relationship, and to remembering Lucy by extending opportunities to more students in the future. 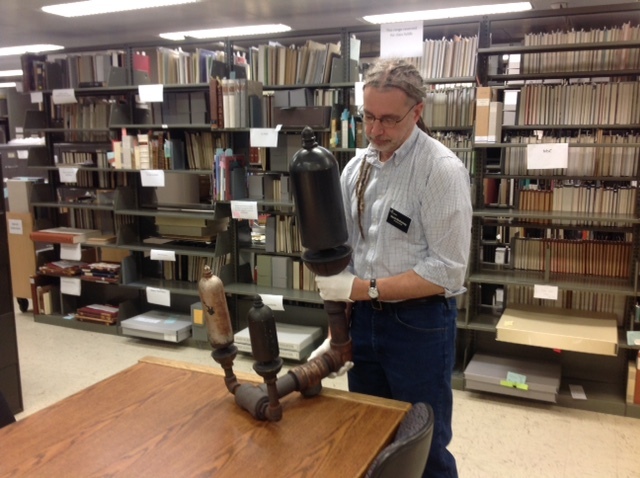 Yesterday I walked into a meeting to discuss an upcoming exhibition we are putting together on World War II. 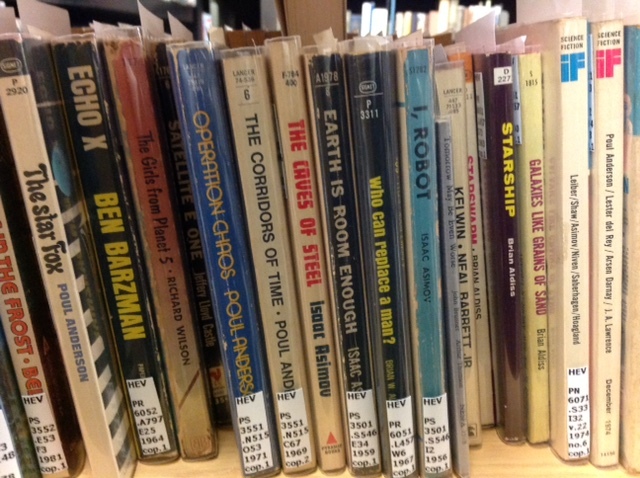 On the book truck I pushed in front of me were several boxes from the papers of Stewart Stern. Stern was a World War II veteran, a survivor of the Battle of the Bulge, who went on to a long career as a Hollywood screenwriter (of films such as Rebel Without a Cause) and a teacher. My colleague who greeted me saw the boxes and said that Stewart had passed away, at the age of 92. My heart immediately sank. Just this past summer Stewart had visited us from his home in Washington state, making the drive across the country with his wife. 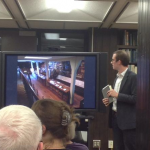 He came to visit us in the library where his papers are housed, to answer some lingering questions he had about his work that only his own papers could answer, and to see where his legacy was cared for. The visit with Stewart was the kind of occasion that makes this job among the most meaningful occupations a person could have—sitting with someone like Stewart, listening to his stories about Jimmy (James Dean), his days as an actor in theatrical productions at Iowa, about his friends from the war, experiences that still made him choke up so many decades later. He was thrilled to see his papers, and he was so full of life. 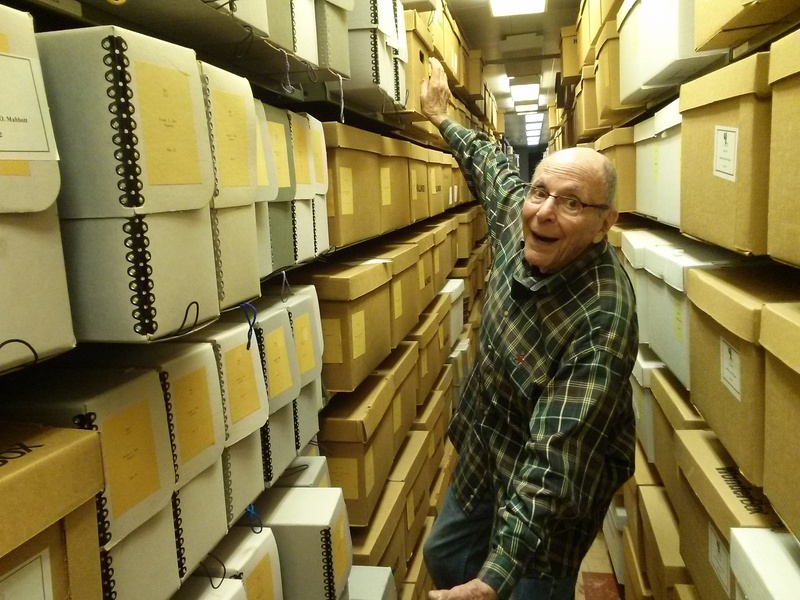 When I asked if I could take his picture in the stacks as he surveyed his boxes, I thought I would get a nice shot of him smiling. Instead, as I pointed the camera, he sprang into action, sweeping his arms open to proudly display his life’s work. He laughed like a child. After this meeting with Stewart, I thought about how enjoyable the experience was, and how much I looked forward to seeing him again. The sadness in knowing that will now not be possible is tempered by the knowledge that he entrusted us with his papers, and we have the ability, and the responsibility, to tell others of his accomplishments. 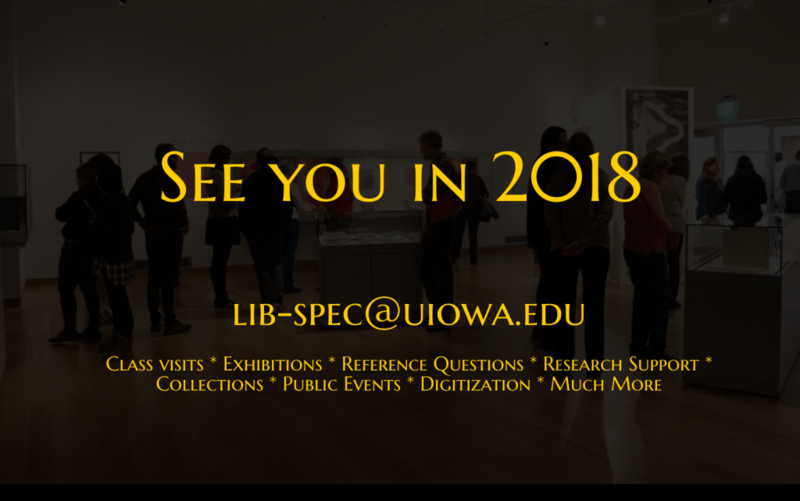 This summer a piece or two from Stewart’s wartime papers will be on display in the University of Iowa’s Mobile Museum—please visit us if we are in your town, and help us remember the life of a fascinating man. 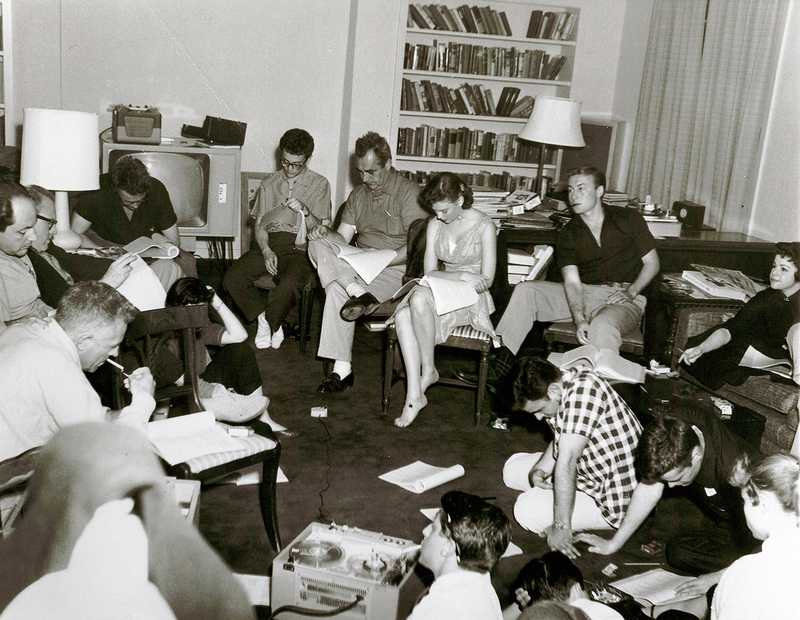 The cast of Rebel Without a Cause at the first read through of the script, written by Stewart Stern, who is seated at the far left, next to Nick Ray. 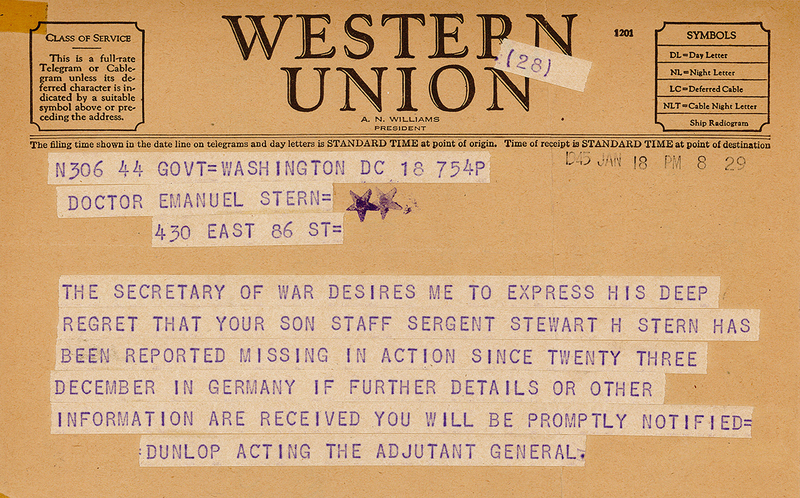 The telegram informing Stewart Stern’s parents that their son had been listed as Missing in Action during the Battle of the Bulge. Stern was later located safe in a hospital, suffering from frostbite. Incunables are books printed in Europe during the fifteenth century, between 1450 and 1501, examples of the earliest printed books. 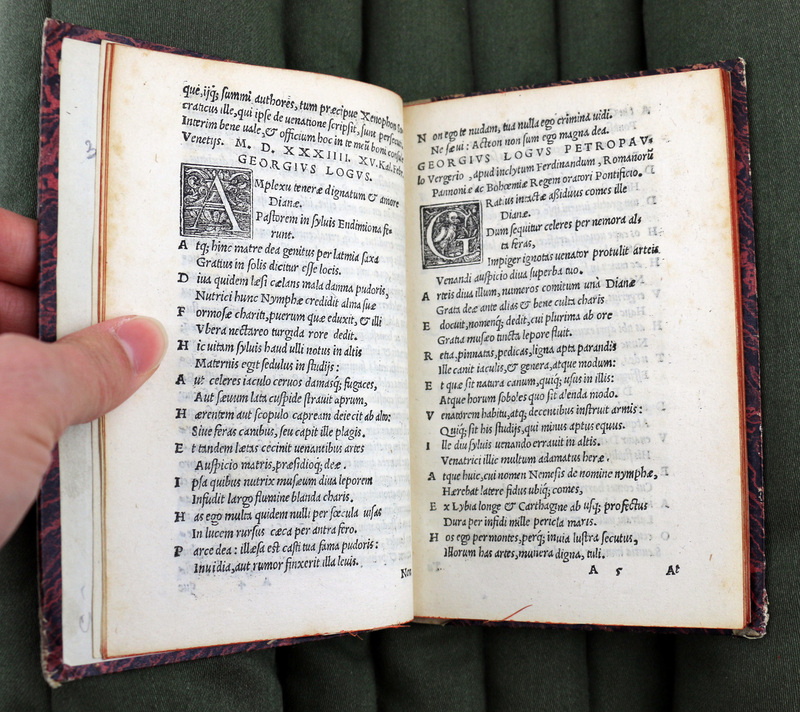 The incunabula period is the focus of a great deal of study—the development of printing, and how it affected the design, distribution, and reception of books, remains central to our understanding of book history. Here at Iowa, we have long held a respectable collection of incunabula, and these books are frequently called for in classes and exhibitions. 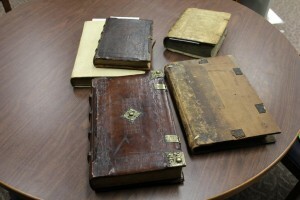 In recent years, these books have been examined extensively by Tim Barrett for his study of early papermaking, and Iowa is also home to the Atlas of Early Printing, an interactive overview of the spread and development of printing in Europe. The UI Center for the Book continues to pass along the art and craft of letterpress printmaking that first flourished in the incunabula period. 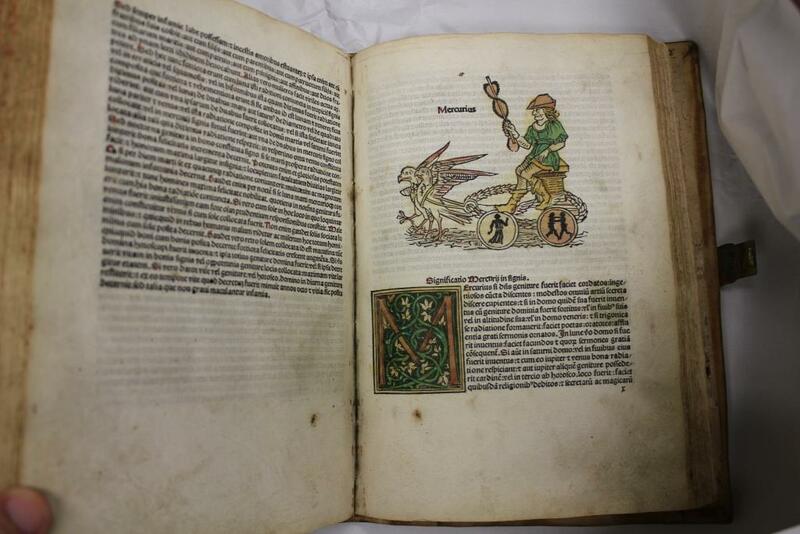 Our recent acquisitions are an attempt to add examples of books and subjects in the incunabula period that we have not had previously. 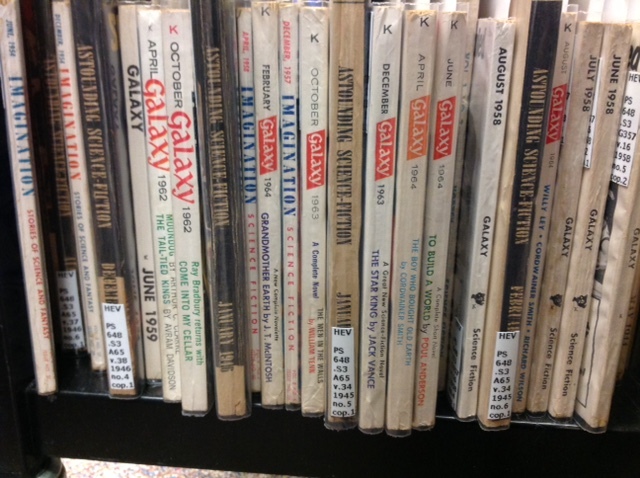 This collection development has been made possible due to the support of the University Libraries acquisitions fund and the Libraries’ Collection Management Committee. 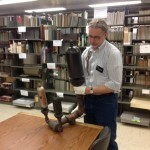 Special Collections Librarian Pat Olson took charge of this opportunity and identified an outstanding mix of possibilities that enhance our collection in many ways. 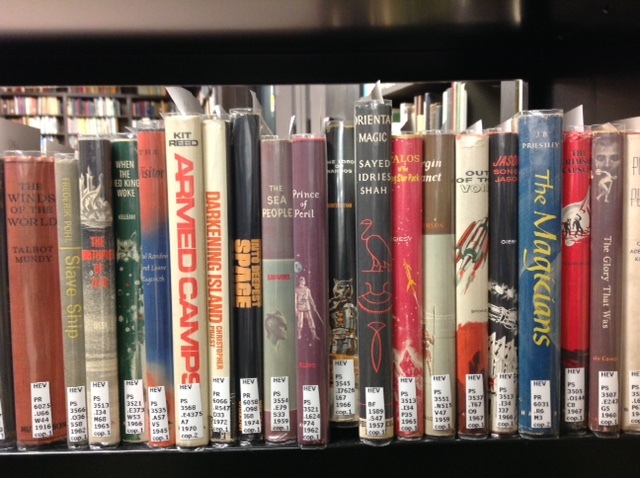 Among these dozen new titles is the first illustrated edition of Dante printed in Venice. 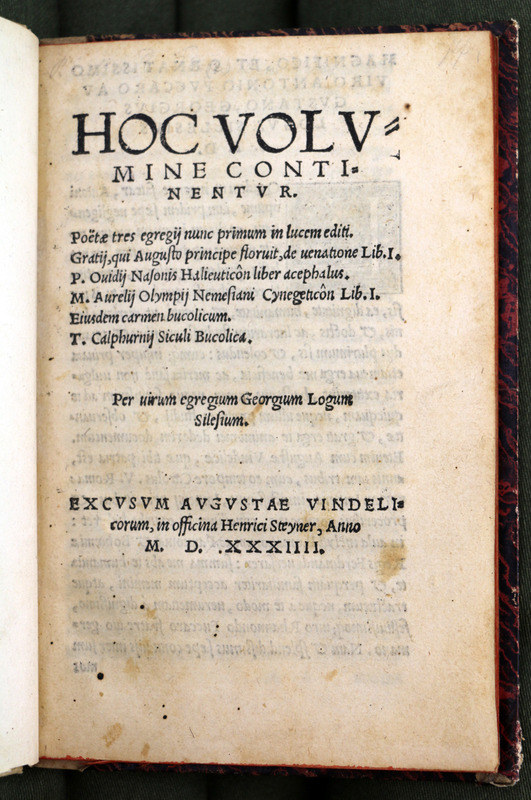 Until now, our incunables largely represented just a single language: Latin. The occasional ancient Greek was the only exception. Our new Dante, however, is in Italian, and so it’s one of our first incunables printed in a vernacular language. The other, also just acquired, is Monte dell’orazione, a private devotional text intended specifically for women. 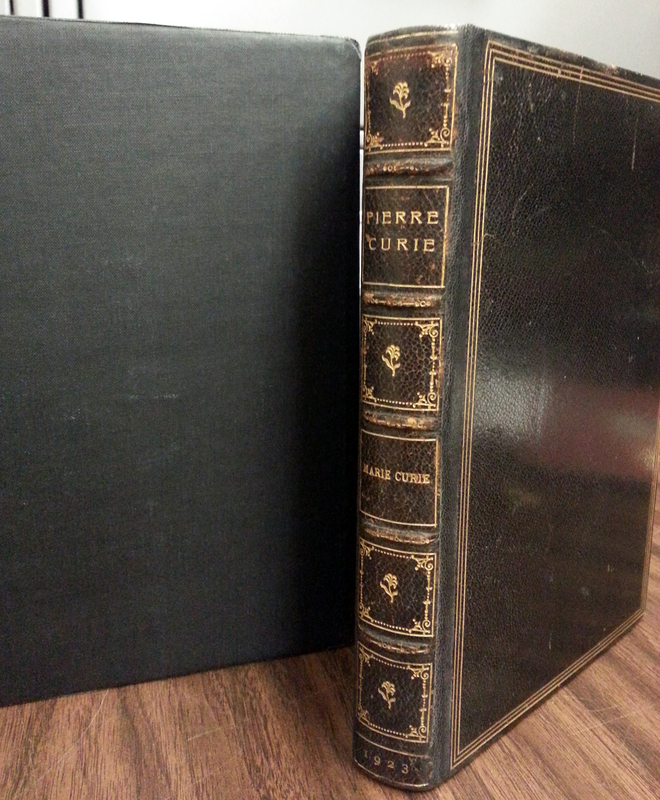 The copy we just acquired is particularly notable for retaining the very rare illustrated wrapper—or to risk oversimplification, the original illustrated paperback binding. We filled one of our more significant gaps with the acquisition of our first 15th-century Bible, and in an early pigskin binding to boot. 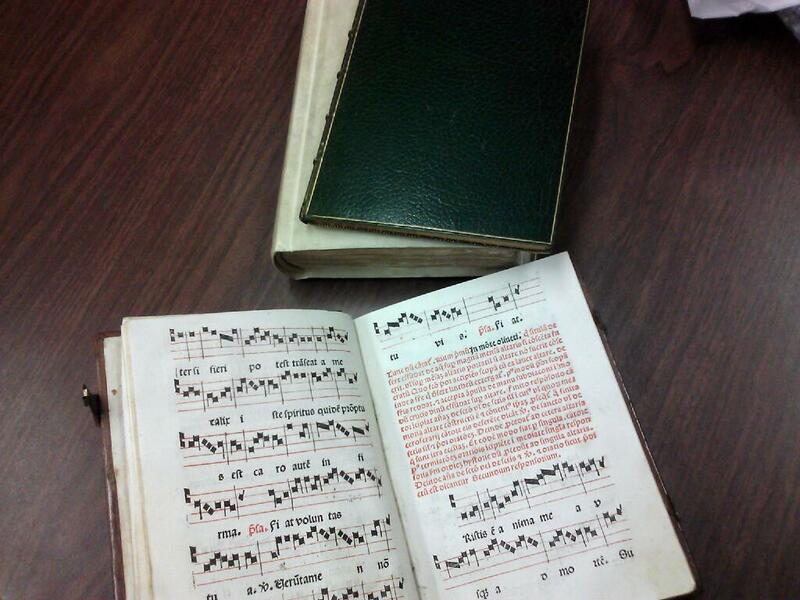 Another first for us is our first Spanish incunable, a book of music printed in red and black at Seville in 1494. We purchased our first 15th-century edition of Ovid, too, here in its original leather-covered wooden boards and retaining its original brass furniture. Early science has been another sparsely covered subject for us, so we acquired a lavishly illustrated astrological text. (NB: What passed for science in the 1400s may not pass for science today.) 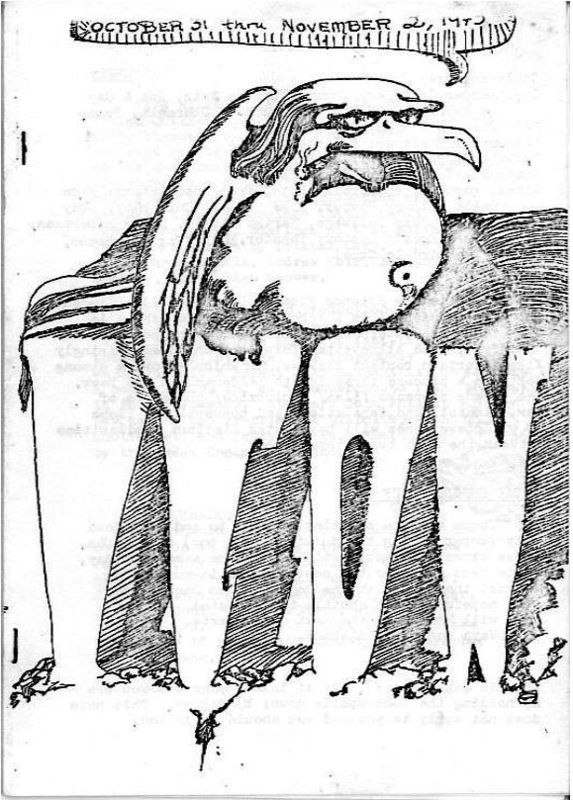 We also acquired a rather crude dialogue intended for children and the less sophisticated—a rare survival, insofar as such texts were less commonly printed and more commonly read to pieces. 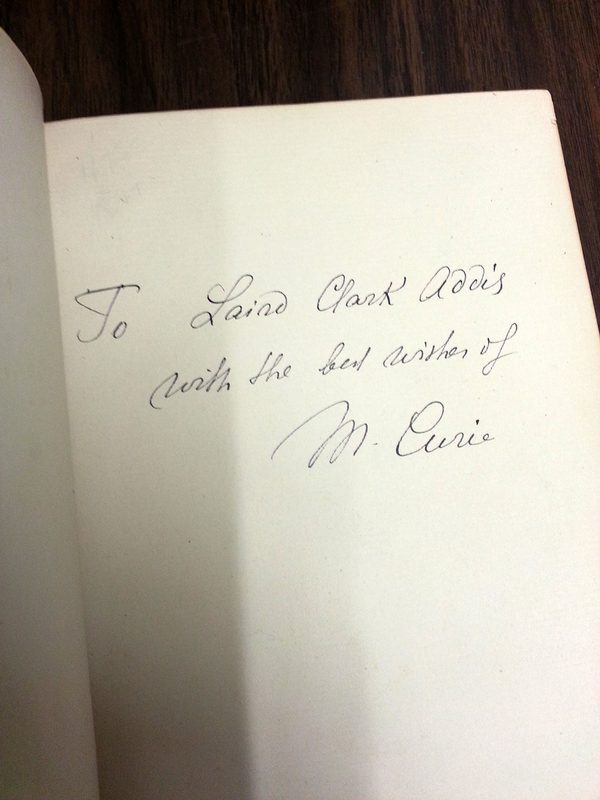 In all cases, we sought books in early (if not original) bindings. 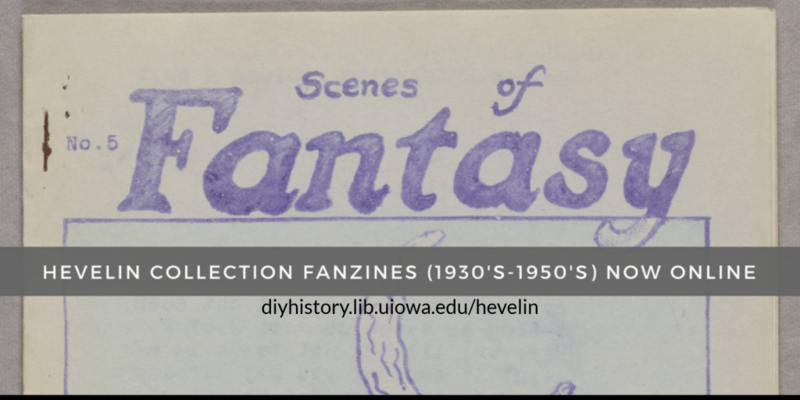 Given the serious interest in early papermaking here at Iowa, we made it a point to pursue books with untrimmed leaves, which serve as uncommon witnesses to original paper sizes. 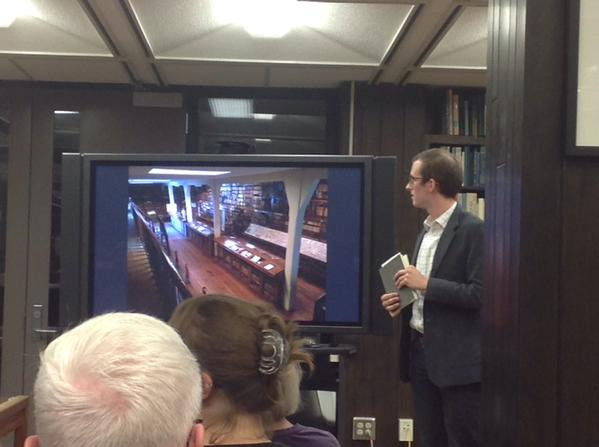 We searched for books with valuable marginalia, interesting provenance, and varying degrees of decoration by hand. Most of these books do have early marginalia, an invaluable resource to support the growing scholarship on the history of reading. Perhaps the most remarkable in terms of provenance is a sammelband (multiple books bound together) printed by the famous scholar-printer Johann Amerbach. Our copy is not just a well preserved example of a 15th-century sammelband, but it contains an inscription noting its donation to a local monastery by the printer himself. As far as textual decoration is concerned, these new acquisitions run the gamut from crude DIY initials to professionally executed penwork and illumination. There really is something for everyone, and we can’t wait to share them. 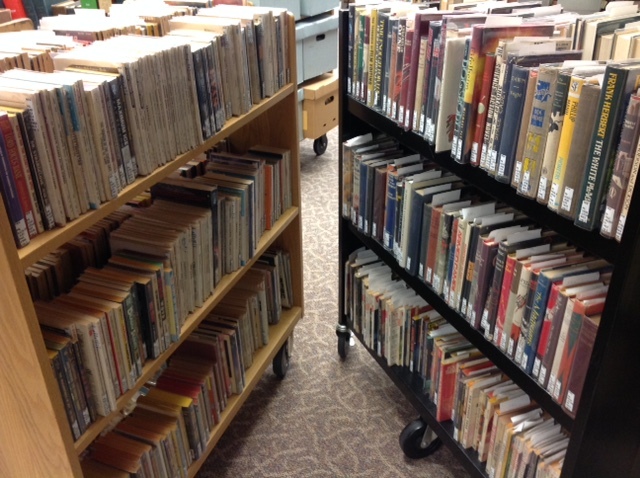 Once they have been catalogued and properly housed, these books may be viewed by request in our reading room during regular hours. And keep an eye out for an announcement coming at a later date of an opportunity to view these new acquisitions in person, while learning about how incunables are being studied today. The U.S. launched its first satellite, Explorer I, on this day 55 years ago, on January 31, 1958. Under the direction of Prof. James A. Van Allen of the University of Iowa’s Department of Physics, the satellite carried a payload of data-gathering equipment which eventually revealed the presence of radiation belts encircling the earth. Our observation of this anniversary is bittersweet this year, as one of the Explorer I team’s most dedicated developers, George Ludwig, died at his Winchester, Virginia, home on Jan. 22 at the age of 85. 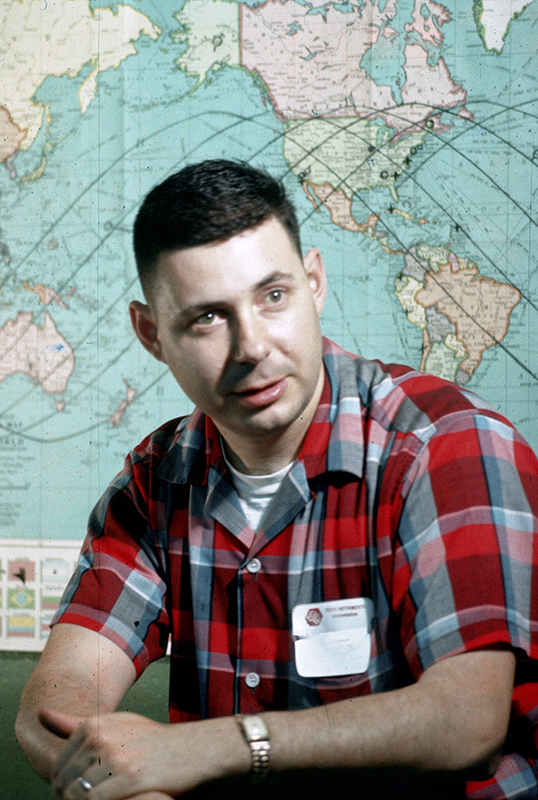 Mr. Ludwig, a Johnson County, Iowa native who completed his doctoral dissertation in 1960, went on to a distinguished career with the Goddard Space Flight Center, and later helped lead the effort to establish the National Earth Satellite Service during the 1970s. In 1981 he became director of the National Oceanic and Atmospheric Administration’s Environmental Research Laboratories, a position he held for two years before returning to NASA. 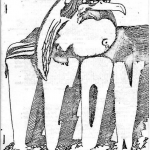 He retired in 1984. 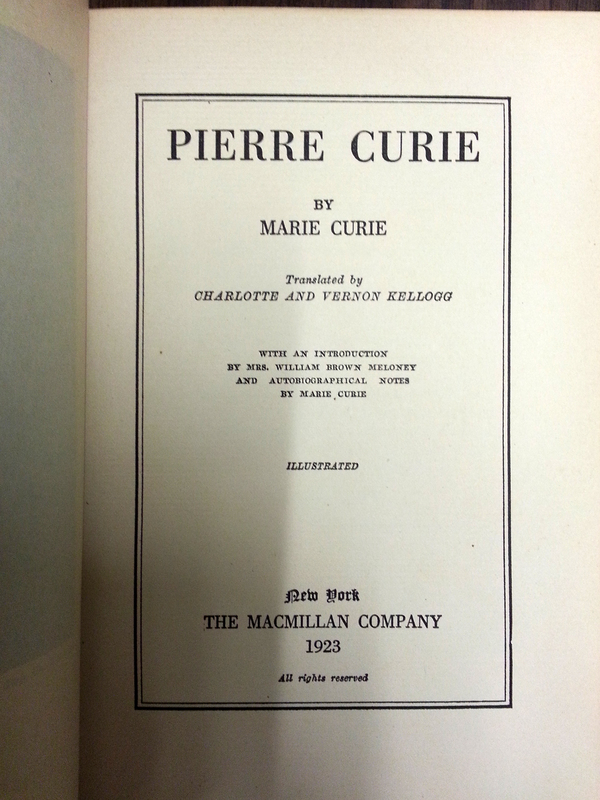 His papers are now housed in the University Archives. 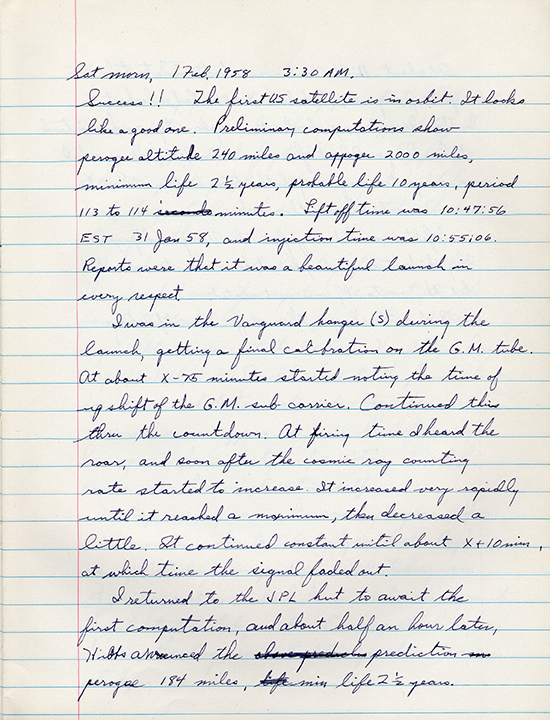 In addition, the original data he gathered and analyzed from Explorer I, the first scientific data ever transmitted from space, is being digitized and will be made available online in its original raw form. Mr. Ludwig was part of a small, select group of space exploration pioneers whose research laid the foundation for today’s understanding of our planet, our solar system, and beyond.